We all want to live a long and healthy life, right? If you're like me, you watch what you eat, try to get plenty of fresh air and exercise, minimize stress, get enough sleep, etc. For me, one of the not so obvious things I do for good overall health is a good spring cleaning. When the blossoms start coming back around and the nettles and dandelions start popping up I feel the pull of those bitter tasting herbs. Chugging along through the winter months in particular can slow down our metabolism. For many, this leads to weight gain, especially for those living in harsher winter climates where physical activity is significantly reduced. As spring approaches, one of the best ways to kick-start your metabolism and give your health a boost is to give your body a little spring cleaning of its own and detoxify your system. The most important step to begin detoxing the body is cutting out most refined and processed foods which contain trans-fats, sugar and additives such as artificial colors and monosodium glutamate (MSG). I try to eat more raw fruits and vegetables, whole grains, and vegetable protein like beans, lentils and quinoa. By choosing organic foods, you can reduce your exposure to pesticides. Some readily available all natural detox-friendly foods include kale, beets, and spinach, which can be prepared in delicious salads. Also, never underestimate the power of physical exercise! Since the skin is the largest elimination organ your body has, working up a sweat is yet another great way to promote cleansing and body detoxification! And don’t forget to drink plenty of water to stay hydrated and assist the kidneys in flushing out toxins. As always, we can look to nature to support our detox efforts. Dandelion contains bitter principles that have a tonic effect on the liver and digestive system. It is also a very rich source of vitamins and minerals, including Vitamins A, D, C, and B, as well as iron, silicon, magnesium, zinc and manganese. Fennel has been used since ancient times. Apart from its naturally supportive properties for digestion, fennel also helps to maintain liver, kidney and spleen health. Milk Thistle is probably the most well known liver tonic. 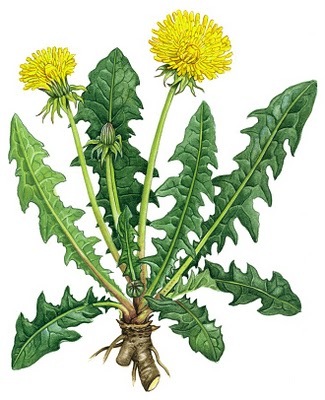 It is often useful for those who don't want the diuretic effects of dandelion. Run all of these through your juicer and enjoy! There are also many herbal liver and kidney tonics available. One of my favorites is Detox Drops from Native Remedies. Please share your favorite Spring Cleaning rituals with us!